It is not uncommon for the pressures of life to build up quickly and cause you to feel nearly hopeless. Whether it’s worrying about how you are going to pay your bills or struggling to get control over an addiction, it’s often difficult to put things in perspective long enough to find a solution on your own. 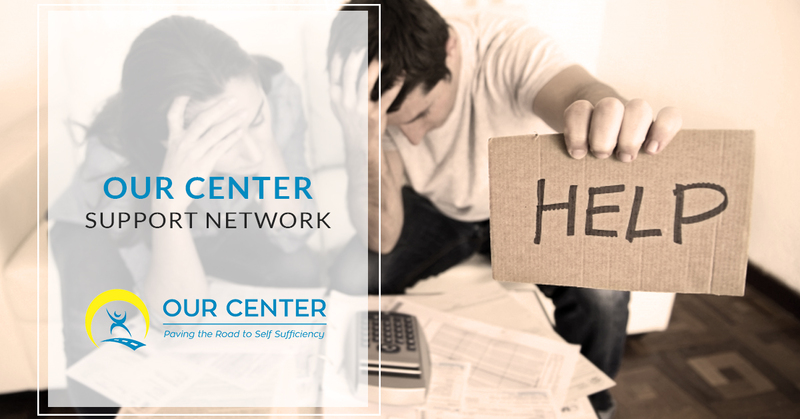 We have worked very hard at OUR Center in Longmont to build a support network that allows us to aid those who need an extra bit of help with some of the most stressful situations people face during adulthood. By forming partnerships with over 15 resource groups in Boulder County, we are able to help the participants at OUR Center to get the help they need in one place. The collaboration and endless support that we receive from these partnerships is invaluable to OUR Center, making it possible for us to help those in need of assistance. Continue reading below to learn more about the support network we have built and how it can support you. Being able to pay rent or your utility bills doesn’t always come easily. Worrying whether you are going to be evicted or living without electricity or water can feel stressful and overwhelming. If you have done everything you can think of in order to pay your bills and you still cannot do it, it may be time to ask for help from OUR Center. We will work with you to try and get you the funds you need to continue living in your current residence. We can also help you to learn more about budgeting and finances in general, if you are interested. Are you having trouble finding somewhere to live in the Longmont area? We have many resources to help those who are new to the area and those who are moving from their current home to a new residence. With connections throughout Longmont and Boulder County, you can be sure that we will be able to provide you with an extensive list of options so that you don’t have to worry about not having a place to live. While it would be nice if getting a job was a quick and easy process, this isn’t the case for most people. If you recently lost your job or you are trying to leave your current one, we may be able to help you. Through our business network in Longmont, our employment referrals will give you a leg up when it comes to finding the best position for you. For many, finding a lawyer that can help them handle their family law issues can often be difficult. Not only can hiring an attorney be expensive, but it is also difficult to ensure that you are working with a law firm you can trust. We know many of the best lawyers in Longmont, which means we can not only get you access to someone who can answer your most complicated family law questions, but we can also provide you with someone who you can undoubtedly trust. There are few things in life that are harder to overcome than a substance abuse problem. This is especially true if you are trying to do so by yourself. If you have recently been struggling with substance abuse and you need help, reach out and get the assistance you need at OUR Center. We will do everything we can to help you to identify the source of your addiction and eliminate your substance abuse issue from your life. Often when we are worrying about how we are going to pay the bills and put food on the table, we forget other imperative things we need like proper health care. If you have been neglecting your health in order to pay attention to other responsibilities, it’s time to get some help. At OUR Center, we can help you to enroll for healthcare or make referrals to other healthcare providers. Getting covered doesn’t have to be a long painstaking process. Let us help you today. Mental health continues to be a very complicated issue in our country. While the voices of the past are still encouraging mental health issues to be pushed under the rug, a new generation is bringing light and recognition to the difficulties dealing with mental health problems can bring to people’s lives. At OUR Center, we understand the extreme toll suffering from mental health issues can take on your daily life. Whether you are struggling with depression, anxiety or something else, we are here for you. We can provide you with access to mental health resources, counselors and more. If you want to learn more about the support network we offer to the OUR Center participants, you can call us today or stop into our physical location in Longmont. We strive to be a helping hand to all those in need who are a part of our community. So don’t hesitate. We look forward to assisting you, regardless of what you need.